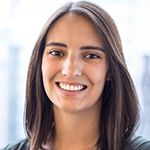 Hill+Knowlton Strategies has appointed Molly Schlinger as creative strategist in the U.S. Schlinger came to H+K from Citizen Relations where she was director of strategy and planning. Her responsibilities included supporting integrated business as well as leading new business pitches. She was previously director, digital strategy and planning at Zeno Group and senior strategic planner at Access Communications. H+K global president says that Schlinger will “add an edge to our client work by applying creativity strategically.” Schlinger is based out of H+K’s New York office. 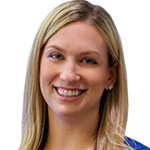 Walker Sands has promoted Annie Gudorf to vice president of public relations. Gudorf has been with the agency since 2012, most recently as a senior account director and partner. In 2017, she moved from Chicago to grow the agency’s West Coast presence and was the first employee in Seattle. Since opening Walker Sands’ Seattle office in January 2018, she has grown the team from one to eight full-time employees. Gudorf has worked with such clients in the B2B technology space as Cisco, CompTIA and Owler. 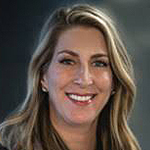 In her new post, Gudorf will be responsible for driving continued growth for Walker Sands on the West Coast. Spyglass Media Group, the company run by former MGM chief executive Gary Barber, has hired Kristin Cotich as executive vice president of worldwide communications. Cotich held a similar role at MGM for five years before leaving the company last August. Barber was fired by MGM’s board of directors in March 2018. Before coming to MGM, Cotich had served as vice president, corporate communications at Relativity Media and director, global publicity at Walt Disney Motion Pictures. At Spyglass, Cotich’s remit will be to develop and execute worldwide communications strategies and implement initiatives across all of the company’s divisions and content, as well as overseeing its internal and external communications.